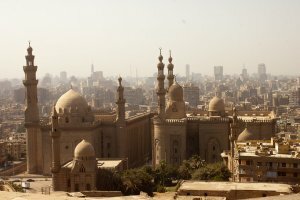 Egypt has been considered the centre of enterprise and trade in the Middle East for centuries. With a population of over 80 million, the country has the largest domestic market in the region. As to Egypt's exports, raw oil and its products constitute the bulk of exports making up about 46 percent of total exports, followed by metal products, chemical and medicines, agricultural products, cotton and textiles, furniture and foodstuffs. It is worth mentioning that Egypt exports of electronics and engineering has been increased dramatically from 125.9 million $ in 2005 to reach 1090.4 million $ in 2009. In the recent years the country has also signed several trade agreements to enhance its international trade and develop the competitiveness of the Egyptian exports. Are you an exporter, importer, wholesaler or supplier interested in buying products made in Egypt for your business or personal use? At Export Portal Egyptian Exporters showcase their products and services globally. Sign up today to find and contact trusted Egyptian Cotton Suppliers, Egyptian Furniture Suppliers, Egyptian Food Suppliers, Egyptian Medical Suppliers or Egyptian Chemical Suppliers. International trade is all about connecting verified manufacturers and exporters with potential global buyers. Whether you are looking to import bulk products from/to the Egypt or a simple buyer searching to buy products online, it pays to join Export Portal's online marketplace. Egypt occupies a key location in the Middle East region. The country doesn't have a large industrial base, thus it must import almost all of their capital goods, like equipment and machinery. Food makes up about 20% of Egypt's imports. The other imports imported in significant quantities include wood products, industrial chemicals and refined fuels. 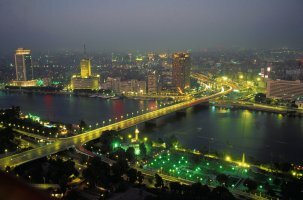 Are you an Egyptian Importerlooking for global suppliers? Or are you an importer from the USA or any other country from the world searching for top quality products made in Egypt? Export Portal is your number one destination for promoting your products or buying products online from verified exporters, sellers and manufacturers from Egypt and other countries of the world. Shop easily online for Egyptian Cotton, Egyptian Textiles, Egyptian Fruits, Egyptian Vegetables and many other goods made in Egypt. Egypt is a country situated in North Africa, being a bridge to Asia. It is bordered by the Gaza Strip and Israel, the Gulf of Aqaba, the Red Sea, Sudan and Libya. Egypt is a member of the African Union, Common Market for Eastern and Southern Africa (COMESA), Food and Agriculture Organization, International Chamber of Commerce, World Customs Organization and World Trade Organization. The Arab Republic of Egypt is a member of the World Trade Organization (WTO) and the United Nations. The country classifies its imports according to the harmonized commodity description and coding system. In March 2013 customs tariffs were increased from 5% to 40% on several “non-essential” imports. There is no licensing system in Egypt, although importing some products requires the prior authorization of the Treasury Department. One of the difficult principles governing imports is the obligation to ship the goods directly from the country of origin (decree 619/98, November 1998), thus preventing the goods from being regrouped. This law has however been relaxed for companies having subsidiaries in other countries by permitting them to ship from the country of their registered office or from their overseas subsidiaries. Together with this the obligation to get the certificates of origin legalized in the country of origin of the goods has been introduced. Some products are still banned, especially in the field of textiles and poultry, and automobiles must be imported in the year of their manufacture. Packaged goods must have an Arabic instruction booklet and all handling instructions must be written in English and Arabic.